Have you given matcha green tea a go? I discovered it years ago. A friend from pastry school introduced it to me and I’ve been in love ever since. The flavor of matcha is earthy, somewhat grassy and slightly sweet. It’s full-bodied with a creamy vegetal taste when whisked with water. To mellow the flavor a bit, use it in a green tea latte with a touch of maple syrup or honey. This is my favorite way to enjoy it. Matcha green tea is different from tea you find in tea bags. Matcha tea is select whole tea leaves ground to a very fine powder. The powder can be used in smoothies, chia pudding, lattes, ice cream and popsicles. I’ve even seen it baked in waffles and cupcakes. It seems there are endless ways. However, matcha green tea is traditionally enjoyed simply; whisked with hot water. My favorite way to enjoy match green tea is in lattes and smoothies, especially in the mornings or for an afternoon pick-me-up. What I notice most about drinking matcha is a feeling of sustained energy. Not a jittery energy, but a calm energy. This is a benefit, yes, but it goes beyond short-term health effects. What are the Benefits of Matcha? Matcha is rich in vitamin C, packed with good-for-you antioxidants and contains the amino acid L-Theanine which calms the body and promotes alert awareness without headaches or caffeine crashes. While it does contain caffeine, it’s about half that of coffee. The chemicals in green tea, especially EGCG and ECG, have substantial free radical-scavenging capability. According to the National Cancer Institute (NCI), the catechins in matcha green tea (EGCG, EGC, ECG and EC) are so powerful that they may actually help prevent cancer (Worlds Healthiest Foods, NIH and Dr. Axe). 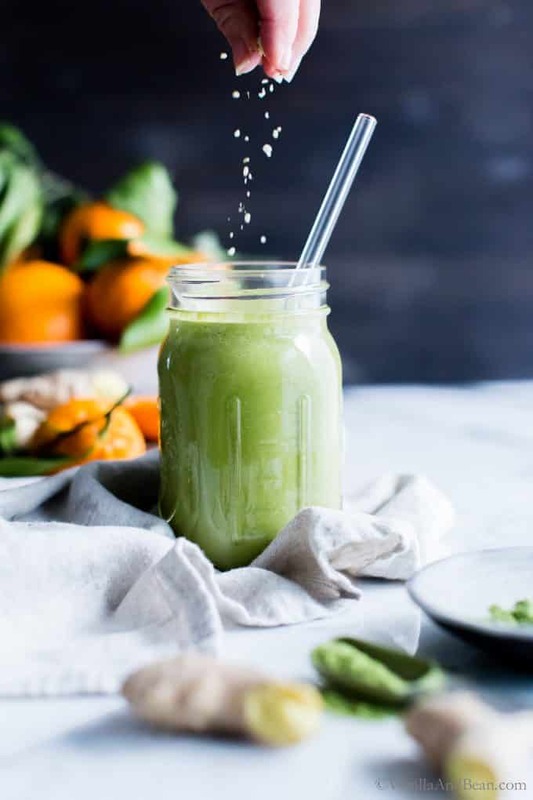 This matcha green tea smoothie is super simple to whip up. 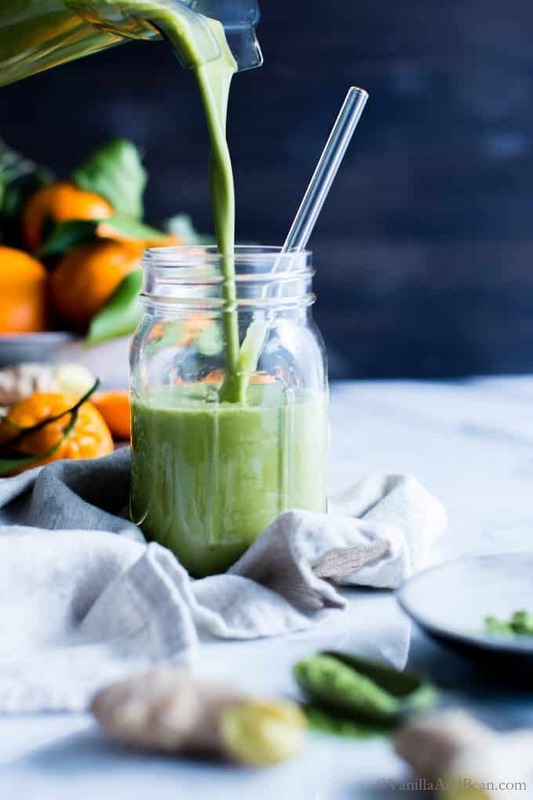 I like to drink it in the morning for breakfast or in the afternoon, as a post workout green tea smoothie (if the workout even happens – omg). First add spinach to a high speed blender container. I use VitaMix. Then add the orange, ginger, frozen banana, hemp hearts, matcha and water. Last, blend until smooth and creamy. This matcha green tea smoothie is best enjoyed immediately. For this green tea smoothie, you can use just about any leafy green as the base. I like spinach or romaine because they’re mild in flavor. A frozen banana as opposed to unfrozen, makes this matcha green tea smoothie extra rich, smooth and thick. Too, it gives the smoothie a nice chill. 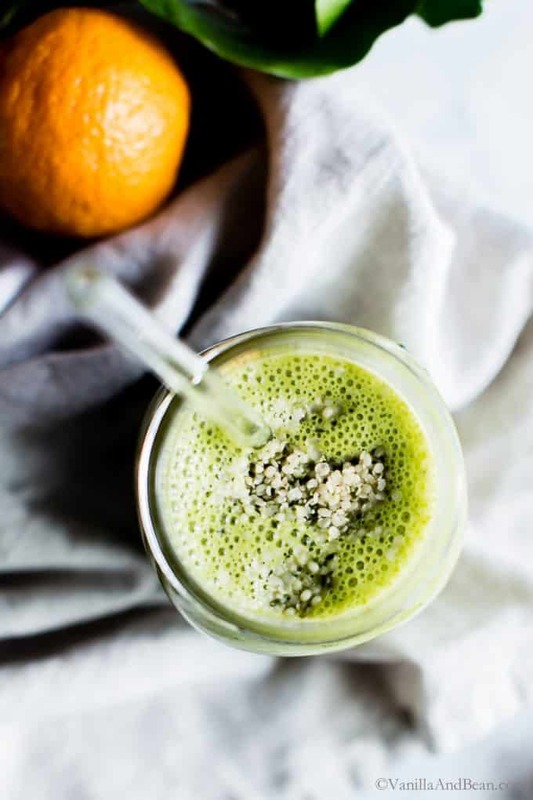 Hemp hearts add richness, healthy fats and protein to this green smoothie. They’re a pantry staple. I sprinkle them on porridge, oatmeal, in seedy snacks and they always make their way into green smoothies. A little goes a long way, so one bag lasts a long time. 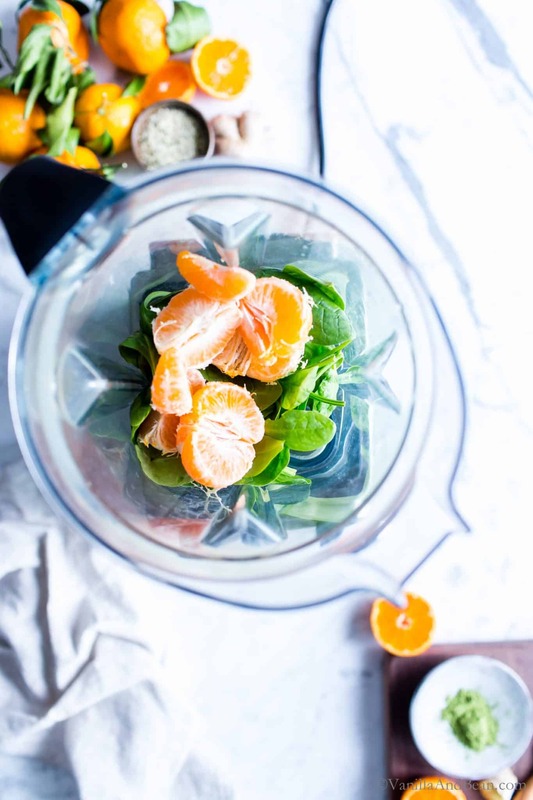 In the container of a high speed blender, I use VitaMix, add the spinach leaves, oranges, ginger, green tea, banana and hemp hearts. Blend on high speed until smooth and creamy, about 30 seconds. Wow! Those photos look delicious and healthy. I’ll definitely share this recipe with my matcha-lover friend. Thanks for sharing! Hi Aika! Thank you so much! I have yet to try it, but I think I would love it! Wherever we can add citrus these days – always a wonderful idea!! I can’t figure out why I still crave smoothies in the cold of winter. Maybe my body really just needs the healthy boost that much more. 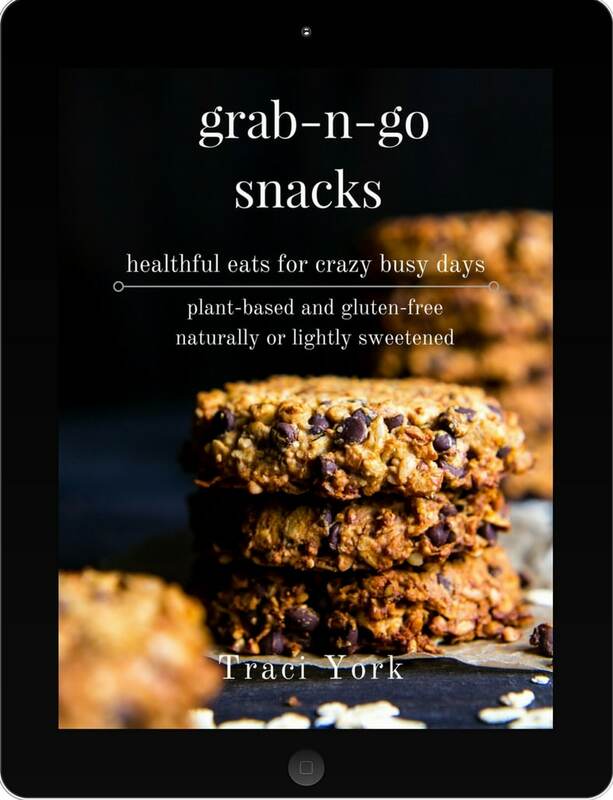 I’m especially loving the combination of this one which I just blended up…so good, Traci! Matcha and hemp hearts always go into my smoothies. The citrus and ginger give this one a fresh flavor punch. What a great idea to ask the market for over ripe bananas! Just made this for an afternoon pick me up and it’s delicious even without the matcha (thought I had matcha but really had moringa….I guess because they are both green). Thanks for a great, healthy snack. Is it o.k. to use frozen ginger? Sue. Hi Sue! I’ve never tried it. If you give it a go, please let us know how it goes! The recipe looks great, except I don’t like (can’t stand, really) the taste of bananas in smoothies. Do you have any suggestions for a substitute? Thanks! Hi Donna! Since the function of the banana is to sweeten and thicken, you could instead use a dried date for sweetness and to thicken, a small handful of soaked cashews – I’d throw in a few ice cubes too, to chill it down. I hope this helps! 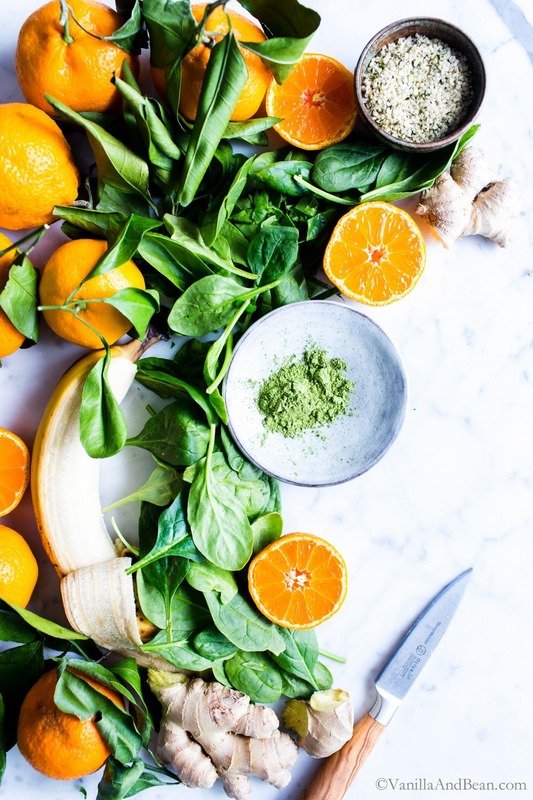 Mmm…love the idea of making my green smoothies extra green with matcha! And love the citrus in there, too. What a great way to start the day!